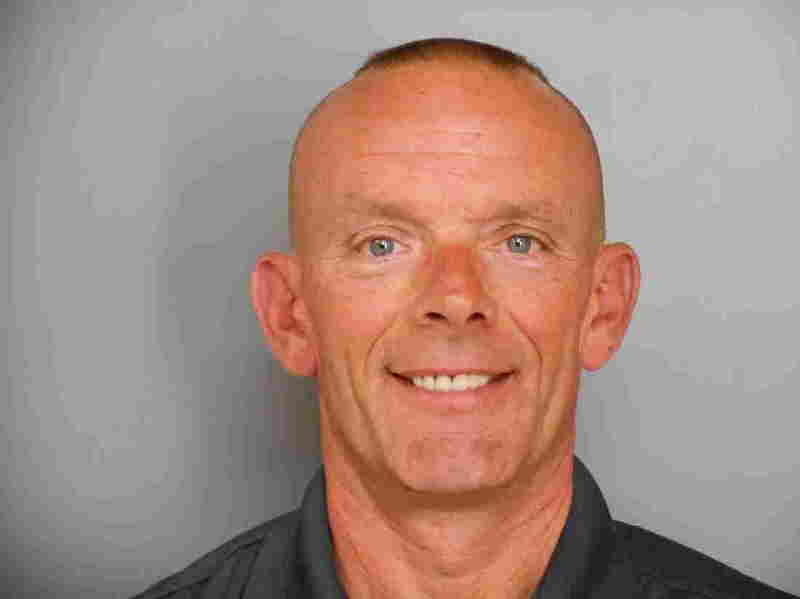 Investigation Finds Illinois Cop At Center Of Manhunt Shot Himself : The Two-Way Charles Joseph Gliniewicz was found dead of a gunshot wound in September. Local and federal authorities launched a massive manhunt, and now investigators have concluded Gliniewicz shot himself. Charles Joseph Gliniewicz, the Illinois police officer whose death this fall prompted a massive manhunt, actually shot himself, investigators have concluded. During a press conference on Wednesday, Lake County Major Crime Task Force Cmdr. George Filenko said Gliniewicz committed suicide after he spent years stealing money from a police program that he oversaw. "There are no winners," Filenko said. "Gliniewicz committed the ultimate betrayal to the citizens he served and the entire law enforcement community. The facts of his actions prove he behaved for years in a manner completely contrary to the image he portrayed." If you remember, back in September, Gliniewicz, 52, radioed to dispatchers that he was in pursuit of three suspects. Dispatchers lost contact with him, and he was later found dead of a gunshot wound. Federal and local authorities staged a huge manhunt, and Gliniewicz was honored with an 18-mile funeral procession. Filenko said Gliniewicz fired two shots. The first hit his bulletproof vest. Then the officer carefully aimed his gun in between the vest and the carrier and fired a deadly round. Filenko said after reviewing thousands of pages of documents and considering all scenarios, they came to the conclusion that Gliniewicz, who had experience staging criminal scenes for training purposes, was responsible for a "carefully staged suicide." Thomas Rudd, the Lake County coroner, agreed with that conclusion. Filenko said that text messages revealed that Gliniewicz may have been worried that an audit being conducted by the village of Fox Lake, Ill., would eventually reveal that he had been stealing from the community for seven years. "I can tell you that eventually he would have been caught," Filenko said. "The village of Fox Lake had begun conducting an internal audit of all its assets and that was [his] concern — that the audit was going to uncover his financial malfeasance."